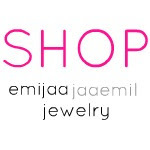 Emijaa Jaaemil...: Cat Fights... Do they Ever End? 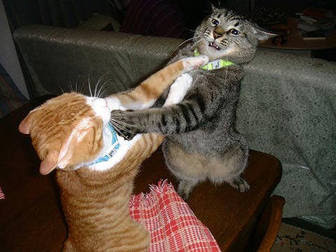 Cat Fights... Do they Ever End? I always wondered why females were so catty!! I could never understand why people - esp women find satisfaction and gratification in causing DRAMA in other peoples lives. Its only natural for you to retaliate when you feel threatened but over the years I've come to the realization that females don't know how to uplift and be positive with other females. Life isn't always about competing with the next person but should be a competition within yourself. Can you be better than YOUR expectations? NOT can you be better than her! In life, set your own goals and expectations and compliment and uplift those who you see are fortunate enough to follow their dreams and exceed their own expectations. At the end of the day the only person success matters to is YOURSELF. Jealousy and Hate can be a very powerful thing. Don't possess those qualities when love, encouragement, motivation and confidence can't get you so much further in life along with a strong support system to always back you up! Ladies lets encourage and uplift... negative energy can be so draining but positive energy is much more fulfilling and much more contagious!